Toyota Fortuner Hire – Pace Car Rental operates a fleet of 7 Seater Toyota Fortuner SUV rental vehicles that is ideal for a wide range of applications ranging from a family holiday in the Kruger National Park to day to day city driving. The Toyota Fortuner is one of South Africa’s most popular SUV’s with good reason, it drives comfortably, sits high so that you have improved visibility of the road, features all road driving capability and has enough space for up to 7 people to sit comfortably. 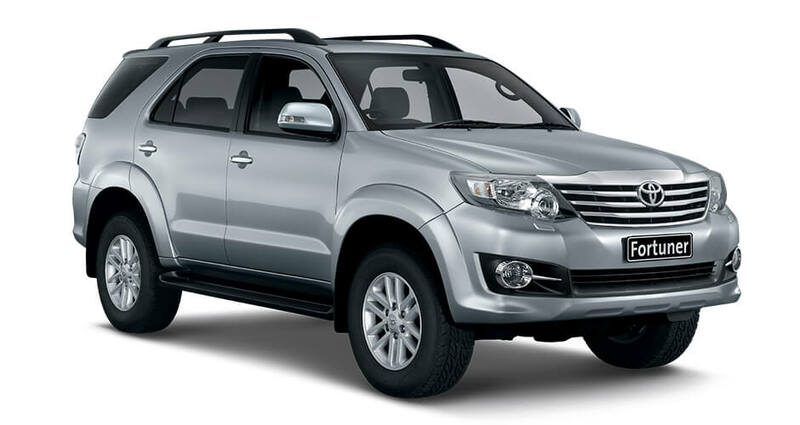 If you are looking for a Toyota Fortuner SUV Rental in South Africa, then Pace Car Rental is the place to be, with highly competitive SUV hire rates and a fleet of Toyota Fortuners that is maintained strictly according to manufacturer’s standards to ensure the safety of our renters; you will be hard pressed to find better value for money SUV rentals in South Africa.